Every now and then, you have to take a chance. That it won’t rain today and you’ll be fine without a coat. That you can enjoy your coffee for one more minute and the train will still be there, on the platform, waiting for you. Come to think of it, we take these small chances every single day. With this session, I also took a chance. I hadn’t heard much of the Australian songwriter Kim Churchill’s music yet, when I said yes when his Dutch press guy Ingmar. After all, Ingmar also got me a session with The Staves once, and a first quick listen told me Churchill has a great voice. I don’t have a habit of rushing these decisions, because I only want to film musicians that I like a lot. 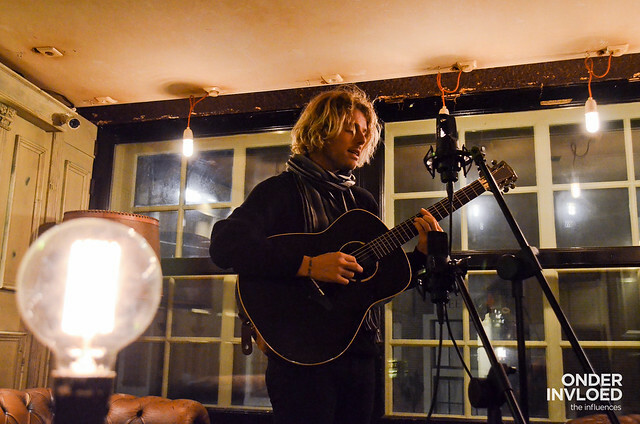 Luckily for me, Kim Churchill turned out to be one of them quickly after I started really listening. So, he started over. And some likely stressful and challenging times followed. But, in the end it was all worth it, he assured me. Weight_Falls became the beautiful record he wanted to follow up with. Meeting Churchill in Amsterdam, I saw a polite, very determined and self-assured musician, who knows what he wants and how he wants to get there. No shortcuts allowed. I like that, and I like the session he recorded with me in the smoking room of the Bitterzoet in Amsterdam. He covered Red Hot Chili Peppers’ Parallel Universe – and actually made me like the song – and played the album’s title track Weight Falls with added harmonies from his band members. Today, he released an ep called Weight Falls (acoustic sessions). Audio recorded & mixed by Matthijs van der Ven.